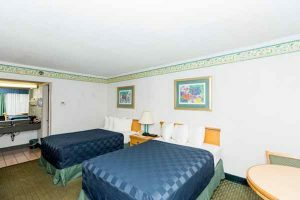 Our hotel offers 475 spacious rooms and hotel suites in Kissimmee, FL in several comfortable layouts. 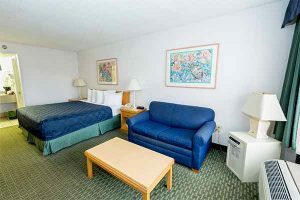 Our Standard Room and King Room each provide plenty of space in which to kick back, relax and enjoy your Florida vacation—whether you are traveling alone, as a couple, or with the whole family. We want you to feel right at home during your stay at our pet friendly hotel in Kissimmee, FL. 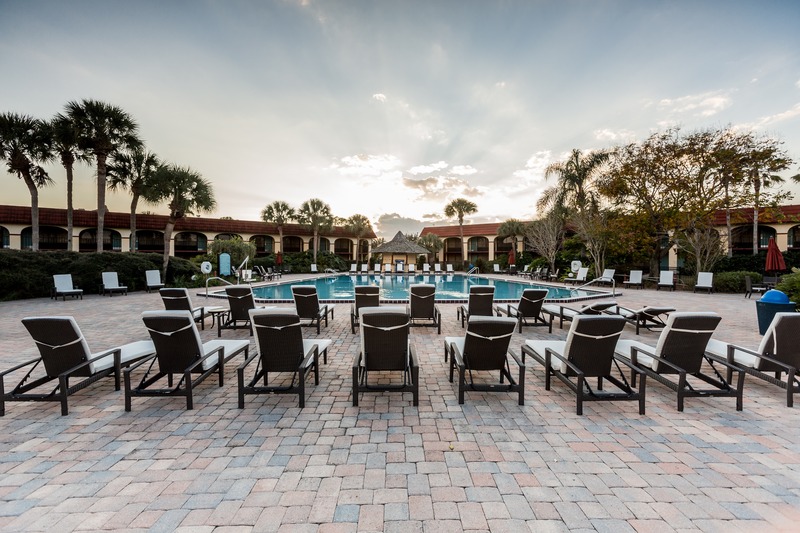 Each of our Kissimmee hotel rooms is outfitted with handy amenities like cable TV, a compact refrigerator and safe and many rooms feature a scenic pool or lake view, along with WiFi in all of our rooms. If you want to bring your four-legged friend along for the trip, don’t worry—our special pet-friendly rooms are next to the Pooch Park, a grassy paradise tailor-made for pets’ playtime. Select rooms at Maingate Lakeside Resort are designated as pet-friendly. These rooms all allow four-legged friends upon the basis of a completed advance registration form and waiver sign-off. These rooms are adjacent to our special “Pooch Park” pet exercise area, a spacious grassy lawn that gives your pet room to get outside blow off some steam.